For those who own a collection of past thumbnails, you must definitely be familiar with various Thumbnail collection tools. 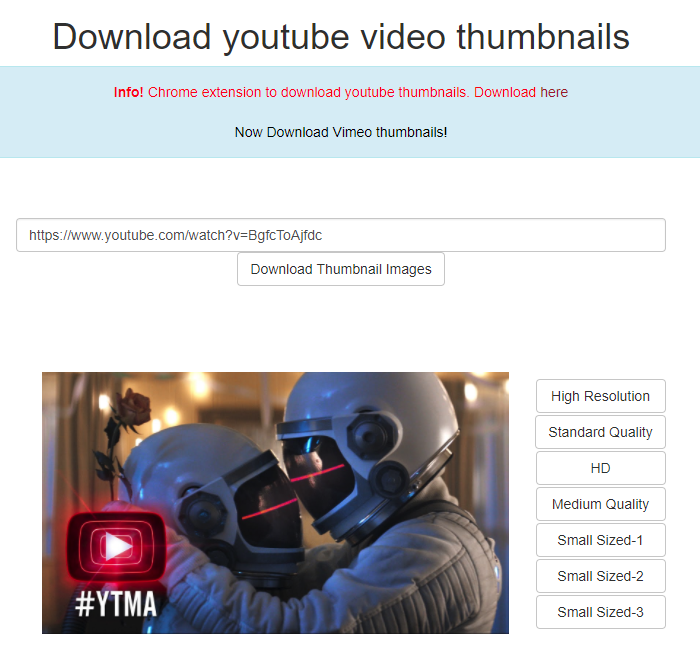 Those tools (sites) allow users to almost instantly grab YouTube thumbnail image(s). 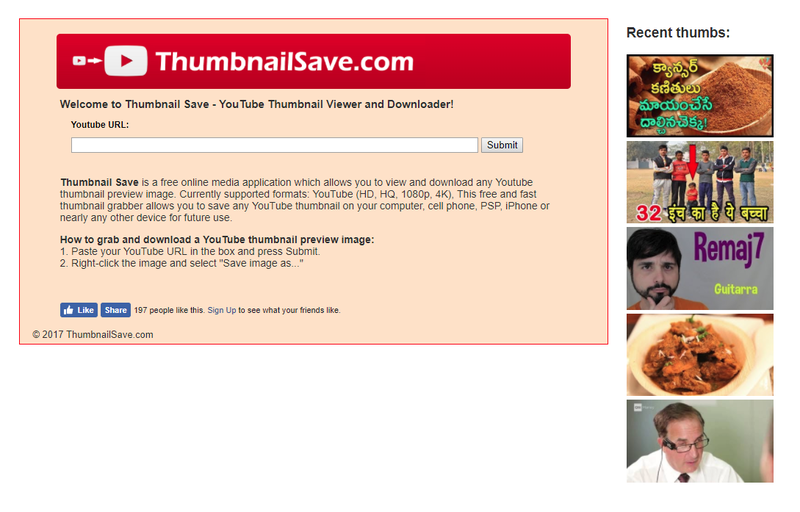 Currently, several solutions are available when it comes to collecting thumbnails. Below we’ve included a list of a couple of such services. There isn’t much to explain when it comes to using YouTube Thumbnail Grabber. Copy and paste your YouTube video link into designated area and then click “download Images”. Afterwards, you will see the downloadable pictures in various sizes. Thumbnail Grabber is a reliable tools without any ads and annoyances. This site is working quite similarly to YouTube Thumbnail Grabber. The difference is that it is faster since it doesn’t download pictures, but rather than that it simply shows up the thumbnails right after pasting the YouTube video link. The only disadvantage (if you can call it that) is that you are “annoyed”by a single, relatively small ad on the bottom of the site. Additionally, BoingBoing allows downloading of freeze frames from the middle of your videos. Yet another similar website that allows you to collect thumbnail from specific video on YouTube. Simply insert URL click “Submit”and everything is set. Site has more ads than in previous example, however it has one additional thing which is presentation of some recently grabbed thumbnails by other users. If you keep refreshing the page, you will keep getting new recently downloaded thumbnails – some of which might be quite hilarious to be honest or you might just find a great picture. Do you find this tool useful? Let us know in the comments!